1 - How is born Syhart Decal ? F-16AM Solo Display 2012-2014 Belgian Air Force. 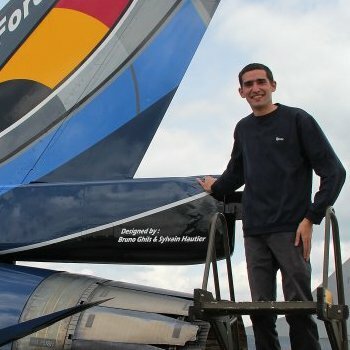 I'm Sylvain Hautier, fascinated by aviation since I was young, I followed my father through the airshows and models shows, it is also with his help that I started modeling from the age of 12. In the early 2000s, when I was student (to be mechanic), I start to customize my models to complete the aircraft I seen in airshows. Attentive to the smallest details, I draw and print my first "laser" decals. Faced with the problem to print white and metallic, I'll have to wait until August 2005 to buy my first ALPS printer. It was from that moment that I share my works with friends then on Ebay. On May 2, 2006 - Founding of design and decals printing (by ALPS) company. Called Syhart Decal ... I has only 20 years old. All the decals sheets are now screen-printed. - If you have a Paypal account, simply select the items you want by clicking the "Add to Cart" taking care to choose the desired scale (Shipping charges are calculated automatically). (shipping rates table). Once your full basket, checkout, you will be directed to the PayPal page to complete the payment. - You can also order by email stating your contact address Paypal, and request a "payment request"
- As noted above, Simply select the items you want by clicking on the button "Add to Cart" taking care to choose the desired scale. (Shipping charges are automatically calculated) (shipping rates table). - You can also order by phone. - Note specifically references, scales and quantities desired. - I will answer you by joining the total amount and bank details. The greatest care is taken in the packaging of orders. Small and medium orders are sent in medium or large cardboard envelopes. If orders are bigger they are packed in parcels. - 7 days to 2 months for the rest of the world. In the interests of equality and simplicity, the postage is the same for all destinations. The entire cost of these options will be paid by the buyer, then I invite you to contact me before placing your order to clarify the situation. As a modeler, and aviation enthusiast, I quickly wanted to make models of aircrafts I had seen during airshows, in magazines or on the internet. The same squadron, same registration number, same "nose art"... Or the same paint scheme. After researches, if these decals do not exist, it will be necessary to realize the markings by oneself. Several options: modify similar decals, do it by hand, paint, or make your own decals ! If you plan to complete decals for an airplane, do it well ! But to do it well, nothing should be left unknown and the collection of documents on a project is crucial. Views from all angles, details, if possible shades of colors... there is never too much ! It takes weeks, months, or even years to assemble and sort the necessary documents (my personal record : 8 years). Because special schemes are rarely worn for more than a few weeks or months, documents can be rare, and once the scheme is erased it is too late. - "an aircraft is decorated only on the right, why take a picture on the left side ?" - "It does not wear anything on top side, or below ... why take the photo ?" It's serious mistakes... because without the proof that there is nothing, it is still missing these infos ! And often this kind of miss do not allow a project to pass to the next stage. how to achieve all of this on a model ? What to do by decals ? what to do by painting ? More the areas are "rough", more a decal is complicated to design for me and apply for the modelers, while painting would not be a problem. 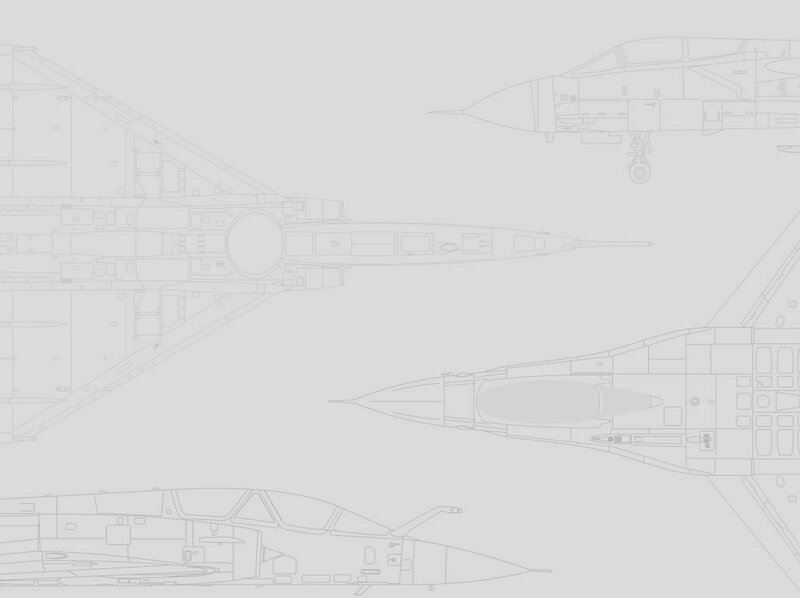 On the other hand it will be necessary to make the pattern by decals if the lines of the patern are too precise or complex to be painted for the majority of the modelers. The Decals should follow the edges of a painted pattern (thin lines for example), in some cases pre-cut adhesive masks may be proposed to ease the painting and keep the right shapes. To ensure the uniformity of a tone, it is preferable (as far as possible) not to make a pattern of the same color, partly in decals and the rest in paint (paint tones / decals are difficult to be fit prefectly, except for white and black). Sometime, a chronological order of installation of the decals could be necessary. Be on the right scale seems to be obvious, but it is not so simple. For a registration, or a roundel, a measurement on the real aircraft is perfect. But when the patern are larger on a fuselage, or a wing (no, wings are not flat), it is necessary to take care about the forms and the curves. This is a very long process, done entirely by hand, which often leads me to draw the sketches of the decals directly on the model, then all have to be developped flat in the form of pattern 2D (which can ruined a day of work in 2 minutes). Also according to the age of the molds, information and budgets invested in the study during the initial realization of each model, they are not always faithful to the shapes or the scales fo the real aircrafts... it is then necessary to check these variations for that decals adapt to it. It will sometimes be necessary to make decals specific to each mold. Once the sizes, shapes and patterns recorded at each scales, I then go on the decal drawing itself, for that I use computer. I use the sketches and the drawn patterns, I superimpose pieces of photographs to found each details of the sketches (up to 30 photos by fuselage or wing), and I redraw everything by overlay; every details one by one! (not a single element of the photo is found on the final decal). Once each decal is drawn, I draw their support film (and yes it is also drawing! ), their shapes must be tested (dimensions, junctions, quantities ...), if necessary rework them, or even redo them ! sending the decals files to the printshop. Wait the printed decals for weeks, or months. Instructions are considered before and during the design of the decals, but often remain as sketches, or notes until the decal files are sent to the printshop (for timing reason), as the printing of the decals require several weeks, it is the time to work on the instructions. Note that the indicative timings are noticed in days and not in hours and not enough in weeks... because I do not count my hours, and that my weeks of work are often 7 days longs. Thank you again for your interest in my work, and thanks to everyone who gives me a helping hand. Through the years since 2006, when Syhart Decal starts, severals references are out of stock or are discontinued. Of these, most are the first references (001 to 054), which were printed by the ALPS (artisanal unitary printing) method. If this method brought the advantages of being able to make unit prints, the decals were printed on a single support film covering the whole sheet, so they had to be separated from each other before diving. The printed patterns could also be brittle and have a slight spotting in the print (dots). ALPS machines were also very difficult to maintain. Today, since 2009, all of the new references are printed in screen printing (like the decals we included in model boxes). By this method the decals are cut off on an independent support film. The decals are printed by a specialized printshop, working on a specific type of file and the minimum quantities of prints are rarely below 150 pieces per reference, (this can be up to 500pc for some printshops). These minimum quantities require an investment at the beginning, without guarantee of profitability ... and it is here that a choice must be made between a project or another ... a project makes a flop, it is the following projects which are compromised. About the old references (ALPS), the drawings files type are more "craft" and are not compatible for screen printing, to reissues those references, all these drawing have to be completly redraw as any new decals sheets... And drawing twice the same thing is not really encouraging. Other reissues will certainly appear in the future, but not all of them... redrawing a project requires a lot of time, and during this time no real news references ! Among the sold out references, some are more recent, victims of their success, they are out of stock... reprints are possible, but again with series of more than 150 pieces ... a reflection is necessary, especially if this same reference is always available in others scales ! For any questions, informations, suggestions or place orders do not hesite to contact me !!! legal notice - Copyright © Syhart Decal - Sylvain Hautier. Tous droits réservés / all rights reserved.